We continue to expand and now have separate application, web and support teams. We continue to invest to strengthen and upgrade our infrastructure to satisfy the continuing increase in demand. DH Systems is the power behind many leading vehicle websites. We use our specialist knowledge of vehicles and the industry to create websites tailored to our customers’ needs. We provide customer facing iPhone, iPad and Android Apps and now have a range of Android Apps to compliment our desktop system. Managing your vehicles, parts and sites has never been easier. Frontier Vehicle Salvage is our core back office administrative system covering every aspect of vehicle salvage. It is easy to use yet offers a wealth of features for Vehicle Salvage Operators both large and small. Insurance contracts, cheque printing, document scanning, Digital Image Inspection, ELVs, auctioning, web listings, reg. lookups, COD, link to Frontier Recovery App, link to Frontier VISTA & link to Frontier Sales Screen are just a small set of features available in the Desktop Package. Ask for a demo or visit our website for more details. Frontier Vehicle Dismantling is a complete stock control and invoicing system - it has been developed specifically for the vehicle dismantler with features that no other parts or dismantling system can offer. The latest version offers an industry first. 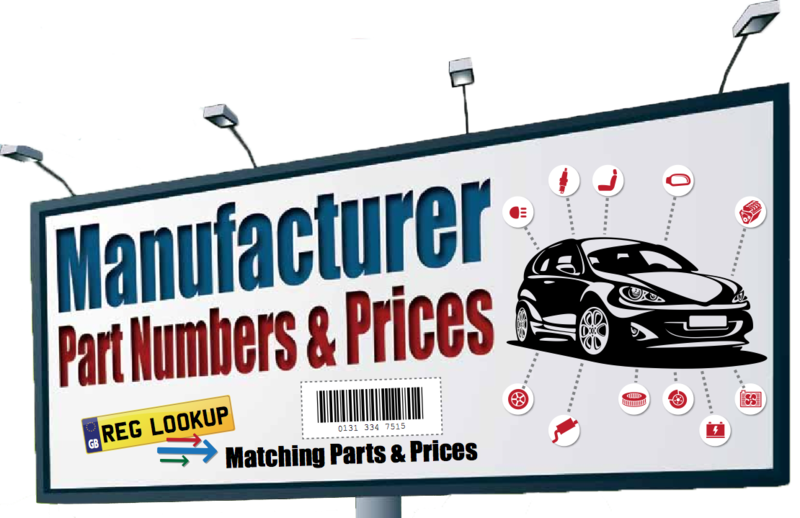 You can now access manufacturer part numbers and prices directly in the desktop system. Each vehicle in the system once dismantled will show the manufacturer part numbers and prices against each of the dismantled parts. When a customer requests a part, you can simply enter the registration number of the vehicle and quickly have all the part numbers available for searching all your stock. This allows for very accurate results, and secondly the ability to search across manufacturers and models that share common parts. For instance, an alternator might be common to a VW Golf and Seat Ibiza, now you will know and you can supply the correct part first time, every time - with confidence, and know the main dealer selling price to enable you to offer both the best value and not undervalue your vehicle parts. Data is supplied by Thatcham and covers about 80% of vehicles on the road in the UK. Frontier Vehicle Dismantling is also your complete invoicing, parts, dismantling and customer database. Quickly search for vehicles, parts and stock. Parts can be dismantled, on-car, damaged or deleted. Create requests, orders and invoices in a few clicks. Retain customer information for future orders, open credit accounts, create pro-forma invoices and set credit limits. Integration with receipt printers and cash-drawers allows for POS at your counter. Registration lookup quickly fills in vehicle details, finds parts and gives confidence to your customers. Postcode lookup quickly fills in buyers addresses. Send parts to ebay and your own website in just a few clicks, import sales from ebay and your website to automate the creation of invoices. Frontier Touch Screen Dismantling can inform your dismantlers in the yard of parts waiting to be dismantled and outstanding jobs. Frontier Touch Screen Packaging informs your despatch bay of parts waiting to be picked and waiting for despatch. Frontier Dashboard gives your yard supervisors a quick overview of outstanding jobs for dismantlers and packagers and allowing the creation of ad hoc jobs and reporting of time taken by each person. Ask for a demo now; you have to see it to believe it. Frontier Mobile is our new “Super App”. Running on an Android phone or tablet and combining the features of Frontier Imager, Frontier Yard and Frontier Stores; Frontier Mobile gives you maximum mobile freedom in the work place; increase productivity and join up your office and the yard. Photos and videos are automatically uploaded to both Frontier and your websites with smart image queuing in the background so an interrupted network signal doesn’t stop the show. Compatible with 1000s of Android devices from a Hudl to a Samsung Galaxy, including Honeywell Dolphin (with dedicated barcode scanner). Full WiFi coverage of your yard is recommended although the App will work over the cell/mobile network. Frontier Recovery is an Android App for use with Frontier Salvage. Uplift instructions are sent to the driver, who can quickly view, accept and navigate outstanding jobs and then recover vehicles directly into the phone. Recovery includes a drivers checksheet, photos, personal details, signatures and any other information you wish to capture by the roadside. Once the recovery is made, the App sends the details back to the yard and desktop system, and the information and photographs are available before the vehicle arrives. Drivers can report failed recoveries and communicate with the office using text messages. Frontier Recovery also links to Google Maps to help with navigation to the uplift locations. DH Systems is the power behind the scenes for many salvage and dismantling companies. We have a wide range of services we offer to our varied customers, large and small. We are the power behind many vehicle auctions including SalvageMarket and FAB Bundle. We design, create and host many of our customer websites, integrating closely with our desktop systems. We run PartShark for the benefit of our customers, who can list parts and breakers on a shared website so customers can find parts first time, every time. Our Sell-My-Car website feature captures thousands of ELVs for our customers to process, and the latest version also prices used vehicles using industry standard pricing tools including mileage and condition adjustments. Our Frontier VISTA service is used by insurance companies, engineers, councils, recovery agents, transport providers and office staff to keep track of vehicles around the country. Our Android and iPhone Apps make finding salvage vehicles, parts and breakers easy for the mobile generation. Our desktop systems make adding parts to ebay and your own website quick and easy. Adding PayPal and SagePay to your website makes it easy for your customers too. We are continuously developing new ideas to keep our customers at the leading edge of their industry. Everything from Registration lookup, Postcode lookup, website searching and much more is available from the UK’s leading salvage and dismantling software provider. For those companies that wish to have our system and are unsure of laying out the capital upfront, we offer a monthly subscription package that offers 3 user licences, registration number lookups (per lookup fee extra), listings of parts and breakers on PartShark, an ebay upload module, Buy now with PayPal, support and upgrades, offsite backups and optionally the manufacturer part numbers for an extra fee. Packages start at a very reasonable £495 per month. DH Systems are proud to be a strategic partner of the BVSF and a member of the MVDA. DH systems are having their annual forum on the morning of Friday 17th April, the morning after the BVSF AGM, at Coombe Abbey and all our clients are cordially invited. And don’t forget we will once again be providing the table wines at the BVSF Annual Dinner!